Don’t miss Monday’s episode of Ask Alyssa if you are applying to jobs and internships! 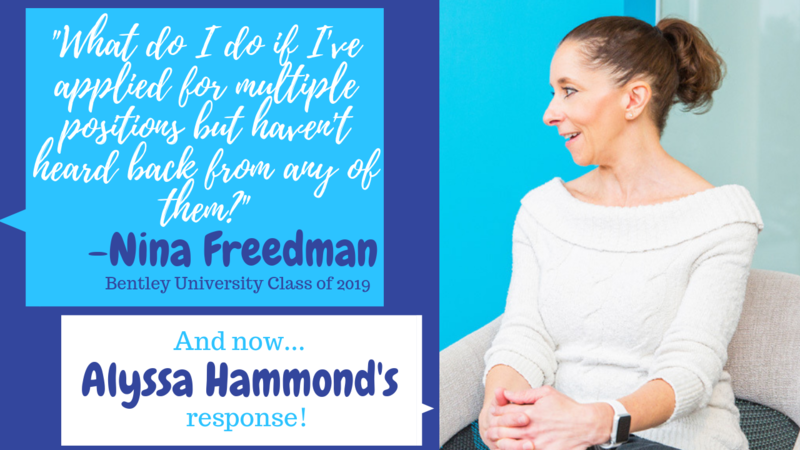 In Monday’s episode of Ask Alyssa, senior Nina Freedman asks Alyssa what to do if you’ve applied to multiple positions but haven’t heard back from the employers. You won’t want to miss it!